A fragrance-free conditioner for a comforted, soothed scalp and soft, nourished hair. Sensitive scalps need gentle yet effective care and a purely natural conditioner that conditions without chemicals and toxins that can irritate the scalp. A'kin by Al'chemy Very Gentle Unscented Conditioner is enriched with Organic Rosehip Oil, Shea Butter, Jojoba Oil and Oat Extract to soothe, nourish and comfort the scalp for sensuously soft hair. Use after the Unscented Very Gentle Shampoo for Sensitive Scalps. 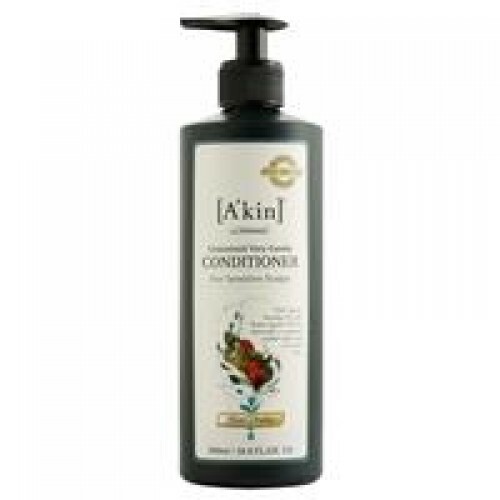 After using A'kin Unscented Very Gentle Shampoo, massage conditioner gently into the scalp & hair. Leave for 1-2 minutes & rinse thoroughly.